Spokane (GEG) always has a bumpy arrival and departure. Yup, that's the only thing of note from my recent business trip, DEN-PHX-GEG-DEN. On a more interesting note, I'm planning another trip around the world with US Airways miles. 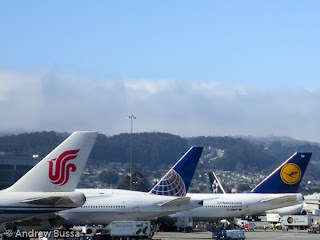 It looks like United, Air China, Lufthansa, Asiana, and Turkish are all possibilities in business class.